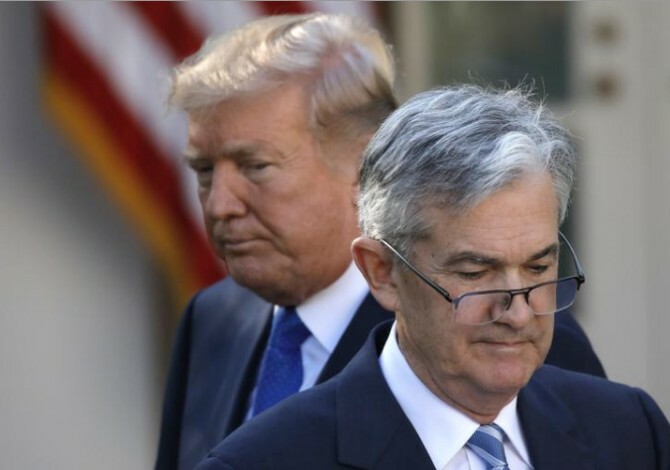 US President Donald Trump has tapped Jerome "Jay" Powell to lead the American central bank, bypassing Janet Yellen for a second term despite praising her excellent management of the world's largest economy over the past four years. If confirmed, Powell will succeed Yellen, the first woman to oversee monetary policy, in February, when her four-year term as Federal Reserve chief expires. "He's strong, he's committed, he's smart," Trump said making the announcement about Powell's nomination at the White House. In replacing Yellen, Trump is breaking with precedent. The previous three Fed chairs were reappointed. Trump said that he respected Yellen and called her "a wonderful woman who has done a terrific job." The Fed under Yellen’s leadership has sharply reduced unemployment while maintaining control of inflation, coming as close to achieving its congressional mandate as at any time in its history. If confirmed by the Senate, Powell will put his considerable talents and experience to work, leading the US’s independent central bank, which has the critical responsibility to set monetary policy and monitor our banking system as a whole, the president said. Powell has served on the Federal Reserve board of governors since 2012. He has consistently voted with Yellen to slowly raise interest rates and sell off assets that the Fed bought up in the wake of the severe recession of 2008 and 2009, indicating that he is expected to continue with the current monetary policy. "During these five years, he has earned the respect and admiration of his colleagues for his hard work, expertise and judgement," Trump said. "He has proven to be a consensus builder for the sound, monetary and financial policy that he so strongly believes in. Based on his record, I am confident that Jay has the wisdom and leadership to guide our economy through any challenges that our great economy may face," said the president. As Fed chair, a position some consider the second most powerful post in government, Powell would be the voice of an institution that is charged with keeping the economy on track by adjusting interest rates that influence the decisions of millions of Americans. Powell previously served as undersecretary at the department of treasury in the administration of President George W Bush. He also has nearly three decades of business experience. He attended Princeton University where he received a Bachelor of Arts in Politics in 1975. He continued his studies at Georgetown University, where he earned a Juris Doctor. While at Georgetown, Powell served as the editor-in-chief of the Georgetown Law Journal. Should you worry about the US Fed rate hike?